With over 20 years in the trucking industry, we know how important training is when wanting to start a career as a truck driver. Our CDL TRACTOR/TRAILER OPERATOR PROGRAM is an entry level driver training program for the Missouri and Kansas CDL tests. Hands on field and classroom training provide an intuitive learning experience that prepares our students for the real world of truck driving. Class A CDL training includes Federal Motor Carrier Safety law and regulations, state regulations, and proficiency in the skills required to obtain employment. 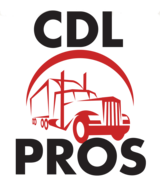 CDL Pros offers day, evening and weekend classes. We work with the top trucking companies in the nation and can also help connect you with recruiters seeking new or partial-experienced truck drivers. Students attend classroom training covering such subjects as diverse safety situations, logbooks, defensive driving, backing, long distance road driving and job search techniques. Preparation for the CDL driving test is done out in the field in the truck. Field training includes both observation and behind the wheel time. The field training consists of driving in training areas that include a combination of highway, city and heavy traffic driving. There is a tested and proven emphasis on defensive driving, backing and safety. Emergency procedures are also practiced extensively. The training also consists of DOT skill practice, job search training, DOT road testing and ultimately graduation then employment. Homework is assigned on a regular basis and students must be prepared for an intensive program of study. Drivers graduating from our course will normally have all endorsements necessary to work nationwide, regionally and locally for the nation's largest truckload carriers. If you have prior experience with driving commercial vehicles, but need a refresher course, then this program is perfect for you. We provide the professional training you need. Our One Day Course is designed for job trained drivers looking to get a commercial drivers license to further their career or drivers requiring specific endorsements on there already existing Class A or B CDL. Kansas and Missouri permits accepted. (A valid permit older then 14 days is required.) 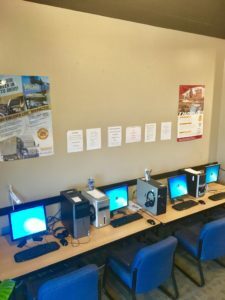 Students taking our One Day class are welcome to come in for 7-10 days and use our classroom, computers and equipment to practice the pre-trip inspection at no extra charge. Our Four Week program is our most extensive program we offer. Even if you never stepped inside of a semi-truck before, we can get you where you need to be to enter into the wonderful world of professional truck driving. This course is the most beneficial for those seeking employment, require help obtaining a permit, and are looking for 160 hours of training. 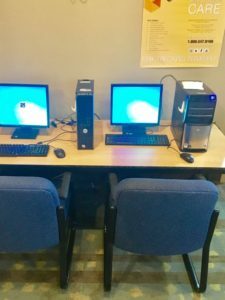 The Four Week Course is certified by the State Board of Higher Education backed by the Missouri Full Employment Council, Missouri Vocational Rehabilitation and Missouri Career Centers. If you are unemployed, part time, a veteran, or looking to get back in the game you might qualify into our Four Week Course all expenses paid! Permit test training and financial information is available upon request. 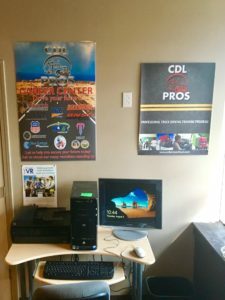 Here at CDL Pros all of our programs begin in our classroom. 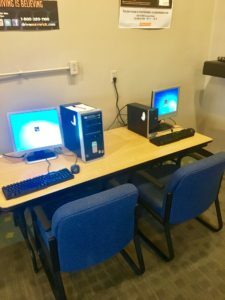 Our classroom has been designed with a computer lab, allowing every student to have access to their own computer for the classroom training. We have recorded our own training videos to go along with our different CDL lessons. Our classroom lessons are designed to provide all students with the knowledge needed in obtaining their commercial driver’s license. From the classroom, we move on to hands-on-training. We provide our own company trucks for all student lessons. All students will receive behind the wheel training experience in a private driving lessons with our skilled trainers. This allows every driver to be able to receive one-on-one hands-on training to help their focus on their studies. This allows our students to be able to ask any questions about the students’ drivers training. It also allows students to receive the experience needed for passing their CDL driving test. All Commercial Driver Permit Licenses test are to be taken at the Missouri Department of Motor Vehicles. All Commercial Driver’s License Test are to be taken at a Missouri State Highway Patrol Driver Examination Testing location. At CDL Pros, are preferred testing site is located at 1950 NE Independence Avenue, Lee’s Summit, Missouri. We have retest program to help our students have another chance at receiving their Commercial Driver’s License. We have designed all of our programs to help any student to be able to achieve a commercial driver’s license in Kansas and Missouri. All of our CDL driver’s programs have been legally approved and certified through the Missouri Board of Higher Education. With our own personal touch we believe one-on-one training with our instructors is very important. All of our instructors have previous professional experience. This prior professional experience allows our instructors to make learning easy and provide any support while obtaining a Class A or Class B Commercial Driver’s License. CDL Pros is now accepting students in these areas in Missouri: Kansas City, Columbia, Sedalia, St. Joseph, Lee’s Summit, Blue Springs, Jefferson City, Joplin, Liberty, Raytown, Raymore, Springfield, Odessa, Independence, Grandview, Belton, and other surrounding cities. We also provide service for Kansas residence. At CDL Pros, we believe your success is our success. If you need a CDL quick or you want to be CDL ready at an apex truck driving school, you need to be at CDL Pros. We are waiting to hear from you!